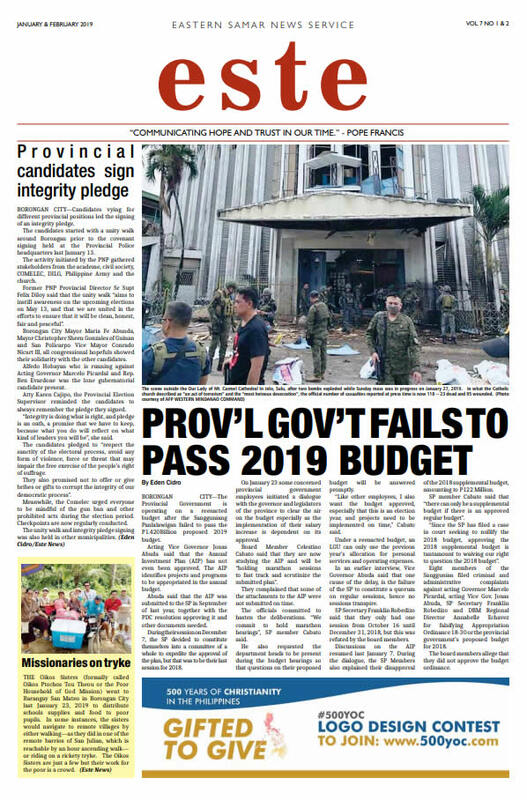 Manila, March 11, 2019–Bishops and priests who have been receiving death threats have one thing in common: they are all critics of extrajudicial killings in the country. At least three more priests came out Monday to reveal threats against them amid President Rodrigo Duterte’s continued tirade against church leaders. In a press conference at a seminary in Quezon City, Fathers Flavie Villanueva, Albert Alejo and Robert Reyes said that they have been sent messages threatening to kill them. 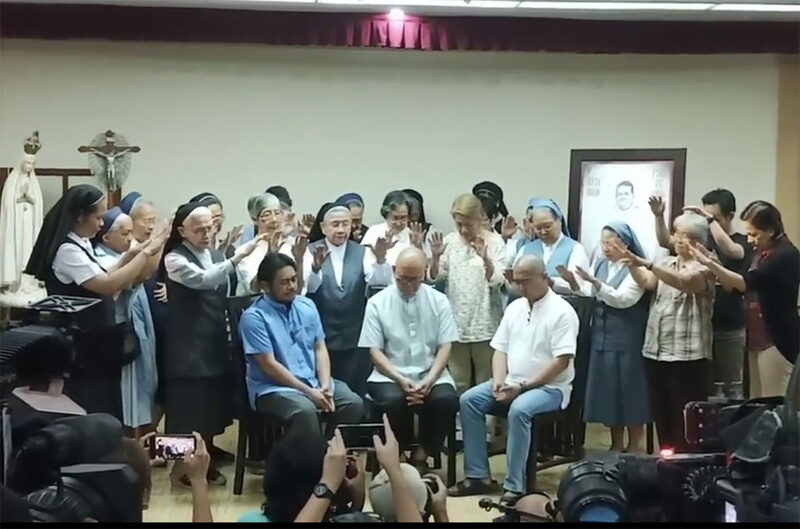 The priests also presented some excerpts from the death threats that they, Archbishop Socrates Villegas and Bishop Pablo Virgilio David had received. Villanueva, who runs a center for those who were widowed and orphaned by the government’s bloody war on drugs, said that some people maybe felt “threatened” by his cause. “If helping them (drug war orphans, widows) seems to be a threat to others because it empowers and allows them to speak the truth, then maybe someone wants me to stop what I’m doing,” he said. A former drug user himself, Flavio launched a program in 2016 to help families of victims of killings in the drug war. Called “Paghilom” (healing), it is one of several church-based initiatives to bring hope to those in the “peripheries” of the Church and society. “Why am I so passionate about this? I want to prove that there’s hope for them (drug uses) and they should not be killed,” he said. Alejo admitted that they are already concerned about their safety. “We came out not only because the threats may come true but also because of the possibility that allegations may be brought out after we are killed,” he said. Three Catholic priests have been killed since December 2017, raising alarm among Church officials. Still, Reyes said such threats will not prevent them from doing their mission to protect the people especially the oppressed. “We will continue to do this as servants of God and the people with a mission to protect the rights and welfare of our neighbors,” Reyes said. Cardinal Luis Antonio Tagle of Manila has earlier disclosed to Duterte that David and some priests have been getting death threats.